Short Michelle and I founded Dolfans NYC a couple years after becoming friends at a thing called Web Weekend. 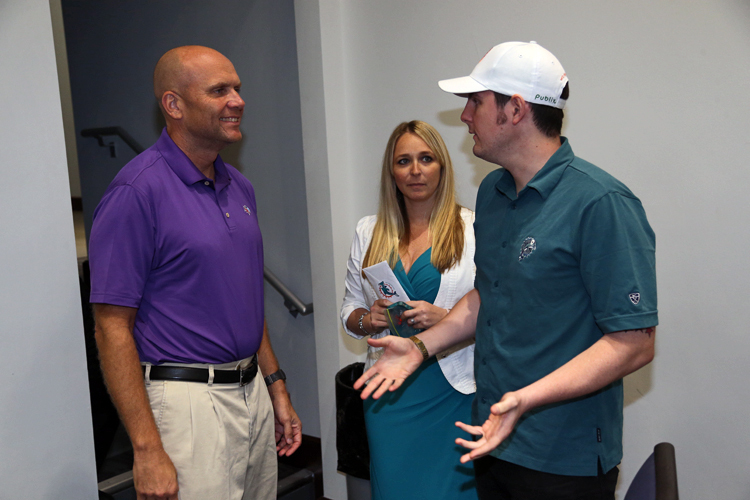 Web Weekend is an event the Miami Dolphins host every year bringing together people who run Dolphins fan blogs. I used to run a site called Bored With Losing and Michelle and her friend Tall Michelle ran a site called 2 Michelles. 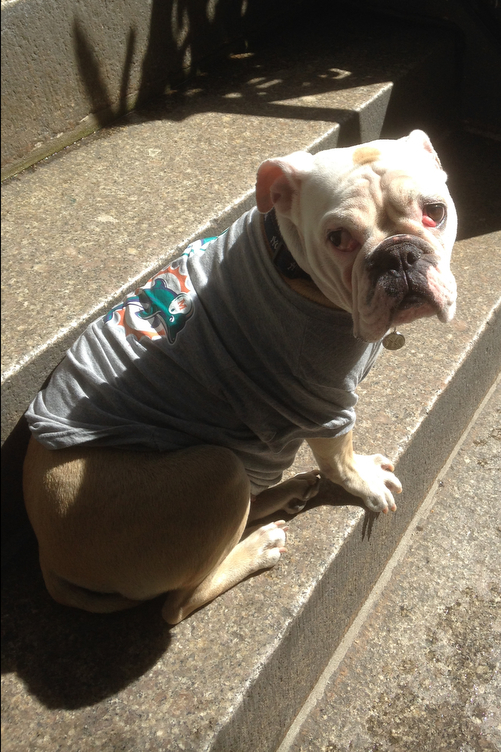 After Tall moved away from NYC we started doing Dolfans NYC as our full time Dolphins project. During the Web Weekend we also met a great guy named Tom Eddie. Sadly Tom passed away from Cancer and we come together every year and remember him. 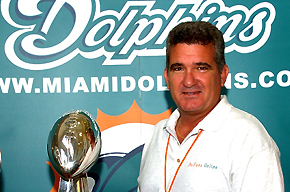 The best Dolphins website of the year is now called the Tom Eddie award. For the second year in a row we are raising money for cancer research in Tom’s name. 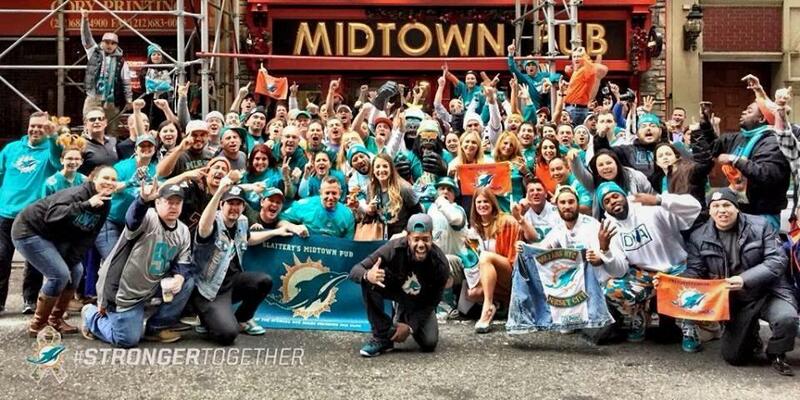 The Dolphins do a Cycling Challenge ever year and last year Dolfans NYC donated 200 dollars. I would like to beat that this year. To help get the ball rolling I found a sponsor that in exchange for mentioning them on the site will be donating $100 to the cause. So check out NFL betting on Top Bet and thank them for helping the cause. Now I know times are tough but donating would not only be a good thing to do but it would help Dolfans NYC’s relationship with the Dolphins. When we donated $1000 to the Miami Dolphins Foundation a couple years ago the Dolphins organization really took notice of our little club. Since then they have done a lot to help us and hooked us up with things like autographed memorabilia for our game day raffles. When Michelle and I started this club we knew there were opportunities to make money with the club but we also knew we didn’t want to turn this into a money making venture. We do this for the love of football and we decided to put any money we made back into the club and then to donate the rest to charity. So this club from the beginning has been about helping others and I hope you guys can donate a little bit to the Dolphins Cycling Challenge. So DONATE NOW and make sure when you mention Dolfans NYC in the comment section so the Dolphins organization knows it came from us. Thanks and Go Dolphins!